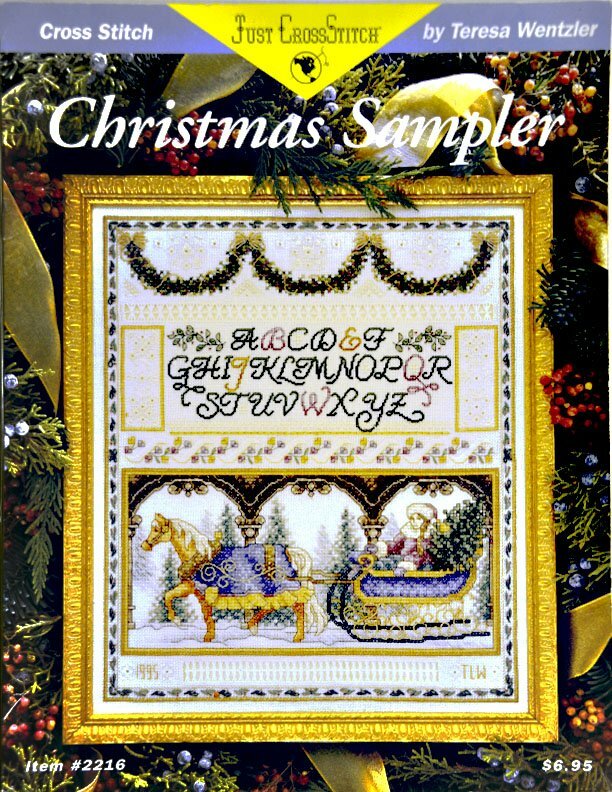 "Christmas Sampler" designed by Teresa Wentzler, publisher: Just CrossStitch. 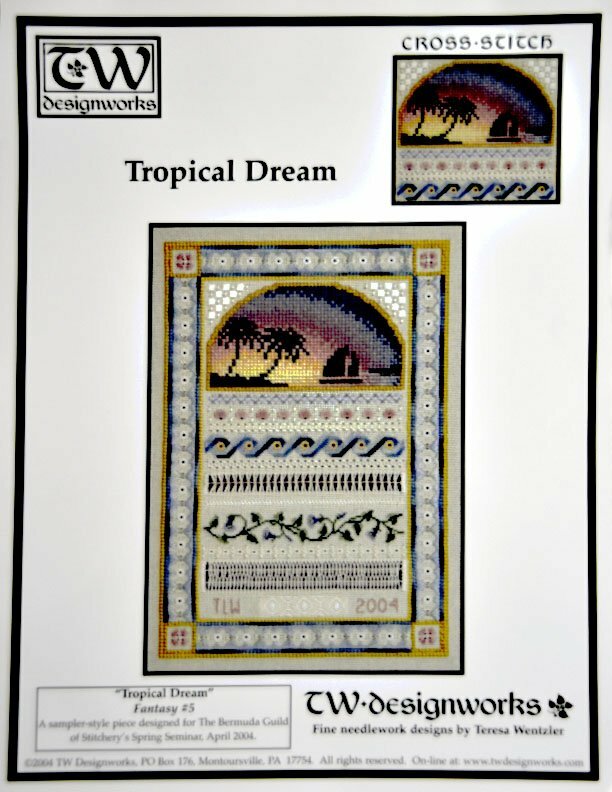 "Tropical Dream" published by TW Designworks, 2004. 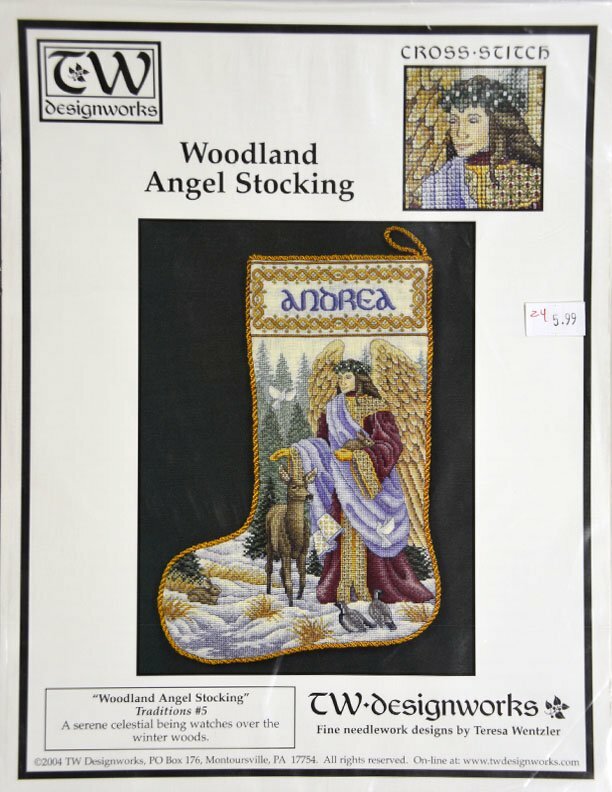 Woodland Angel Stocking by TW Designworks, copyright 2004.